First in Freight in the Turks & Caicos Islands. IBC Airways has been in business for many years. We provide daily freight service from Miami, FL to the Turks & Caicos Islands. When you need reliable, cost-effective air transportation service to and from the Turks and Caicos Islands, or anywhere in the U.S., IBC Airways gets you there on time and on budget. We make the difference when your top priority is meeting urgent deadlines safely, securely, and consistently. IBC Airways is a FAA Part 135 certificated, C-TPAT certified air carrier that is authorized to transport hazardous materials, and operates under the jurisdictions of the US Department of Transport (DOT), the US Transportation and Security Administration (TSA), and US Customs and Border Protection (CBP). As a reliable solution provider, our growing client base reflects many of the largest transportation companies in the world, from integrated carriers to major legacies to international freight forwarders. IBC Airways is also the largest Part 135 certificated operator based at Miami International Airport. Think IBC Airways for All Your Urgent Cargo Needs Between the Americas and the Caribbean. The Airline that Never Sleeps.….IBC Airways is Always On-Call. Daily Weekday Airfreight Service from Miami . 3 copies of the shipping invoice or Air Waybill must be completed and presented at the time of delivery to our warehouse facility or fax a copy of the invoice to our office in advance. These documents must include a full description of content of the packages, quantity, and price. Any items without the necessary information will be held back. Packages and goods must be securely wrapped to avoid any damage in shipment. Items must be addressed correctly with the full name of the business or recipient, complete address (including the name of the island where the shipment is being sent), and telephone numbers. Warehouse receiving hours are 8:30am – 5:00pm Monday to Friday. For next day delivery, goods must be delivered to our warehouse in Miami by 5pm. The flight departs daily at 7am. Landed goods in the Turks & Caicos Islands must be collected from our agents within 24 hours of arrival. Arrangements can be made with our agents to clear packages for you. However, if you wish to do so on your own, please provide the necessary approved customs documents before your items can be released. 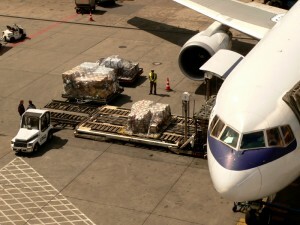 Arrangements must be made IN ADVANCE with IBC Airways for any shipment containing Hazardous Materials / Dangerous Goods. These shipments require special documentation and will not be accepted or transported by Turks Air unless complete instructions are followed. THE CUT-OFF TIME FOR DELIVERIES IS 5:00PM THE DAY PRIOR TO THE FLIGHT. ALL SHIPMENTS MUST HAVE 3 COPIES OF THE INVOICE(S). Copyright 2019, Cairsea Services Ltd.